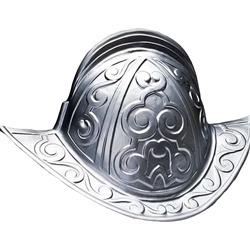 Conquistador/Spanish Morion helmet. Plastic, silver. One size.